Makeup has become a passion of mine in recent years. I love getting creative with looks both for myself and for other people whenever I get the chance to. Truth be told, I have tried A LOT of products from all sorts of brands and will continue to try new things that catch my eye. I enjoy both lower priced items that can be found at any drugstore and higher end brands that can be found at Sephora. While I do enjoy trying new things, there are some products that are essential to my collection that I always seem to come back to. So here they are- my top products that can always be found in my vanity. This is a product that is multi-faceted and one that I can’t do without. I use this facial spray to prep for makeup when I feel like I need some extra moisture. It pairs well with my usual smoothing primer and is very refreshing. I will also use it to set my makeup when I want some extra glow to my skin. Another great use for this product is to wet shimmer eye shadows to give them a more vibrant look. If you can, snag your Fix + when they have the limited edition scents out. If you are looking for a full coverage concealer for under the eyes, Tarte Shape Tape is your friend. This baby blends easily but you don’t sacrifice anything when it comes to coverage. My favorite part is that a little bit of this product goes a long way so you don’t have to use too much to get what you need. This concealer also doesn’t crease (I always set mine with translucent powder). I usually have a hard time finding a good foundation. During the school year when I am working, I usually put my makeup on at about 5am and need it to last until I go to bed that night- typically at least 12 hours of wear time. I do not have time to worry about touch ups. This foundation has me covered. The only downside is the price tag. It is more expensive than I would like, but honestly it is a terrific product if you’re willing to pay the price. I like to make it last as long as possible, so typically I save this foundation for days when I will be going out after work, because it will last from morning until night and then some, or for special occasions when I don’t want to have to worry about my makeup all night. Another plus is the shade range. There are plenty of shades with all different undertones so even if you’re hard to match you should be able to find your shade. This is my everyday, going to work/running errands/couch potato foundation. This foundation is a little bit lighter coverage than the Estee Lauder, but it is buildable and good for every day wear. The staying power isn’t as long lasting either, but it does last long enough to get through the day. This is a more affordable, but high quality, foundation. I would say it has a more satin finish, and I enjoy how natural it feels and looks on the skin. This can be found at any drug store and at Wal-Mart or Target. I have tried so many mascaras for my puny little lashes. I feel like I’ve tried everything there is. 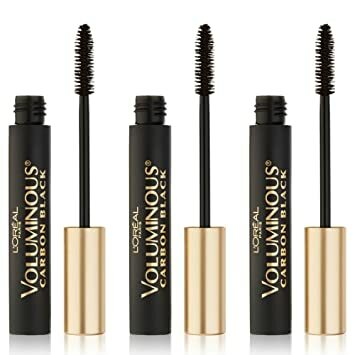 I always come back to Loreal Voluminous because nothing, even higher end mascaras, seem to compare to the volume that I get from this one. I prefer the Carbon Black over the original because of the added black pigment that really seems to make my eyes pop. Plus, you can’t beat the price! It took me so many tries to find the right under-eye powder to set my concealer. They always seemed too drying or they didn’t prevent creasing the way that I wanted. This gem has been my lifesaver! It is affordable and does everything that I could ever need. No more creasing, or dry looking under-eyes for this girl! It also has a nice brightening effect that is a definite plus. I’ve used both a sponge and a brush to set my concealer with this powder and both methods have worked out great. I also use this powder to help clean up eye shadow shape and fall out. 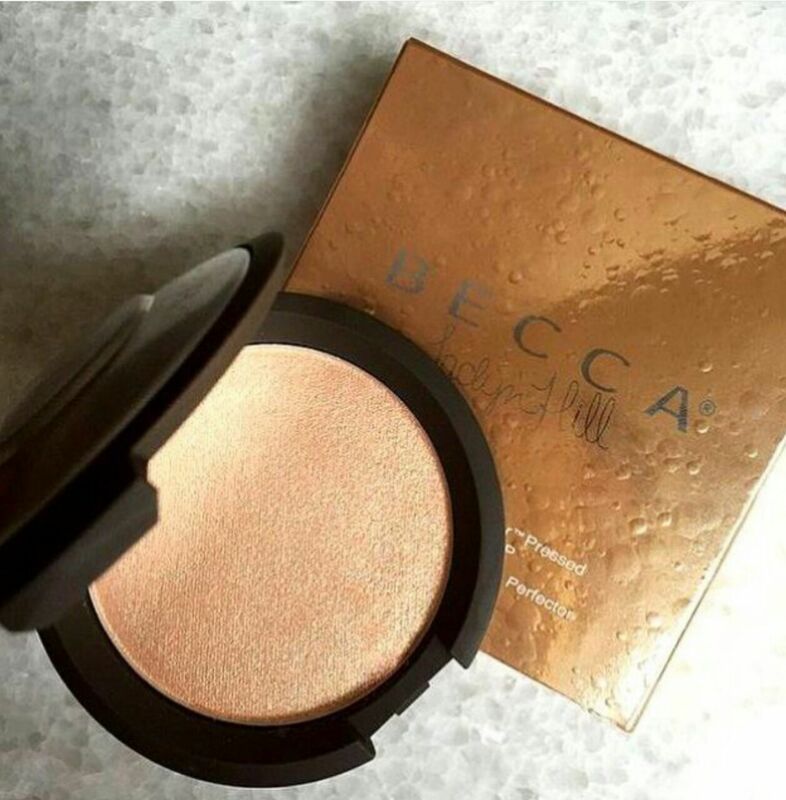 Last, but certainly not least, is my favorite bronzer. Even on minimal makeup days I feel that adding some color is a must. I love this bronzer for basic bronzing for everyday looks, but the shade also is complementary to my skin tone for contouring on days when I’m wanting to have more structure to my face. The bronzer has no shimmer, which I definitely appreciate. The color isn’t too red or orange and is a nice natural tan. The best part is this bronzer is a part of the Too Face chocolate line that is infused with cocoa powder- it literally smells like chocolate. What else could a girl want? I’d love to do more makeup related posts and will be posting pictures of looks I’ve done. If you have any requests please comment and let me know! Previous postFather’s day and the single mom. Next postWeddings, birthdays, and failure. Thanks for sharing 🙂 I’ve been wanting to try the Tarte Shape Tape forever and I love the Maybelline Fit Me Range!